“Lunatic” – where did this word come from? We often use this word at someone to show our displeasure but when it us used on us we would be hopping mad. It is not a kind word, it hurts the other person very much to be called a lunatic, try not to use it. Here Tony Wootton and Gwen Zanzoterra give us the story how this word come about. The two writers also tell us how the thatched roofs come about. There is a reason why the thatched roofs are extended to cover the windows of houses. This word comes from the Latin ‘luna’ meaning a moon and can mean someone who goes mad with the changes of the moon. However, it is usually associated with the old belief that if the moon shone on you while you were alseep, it sent you mad – you became a lunatic. This is one reason why the old thatched roofs came so far down over the windows, they were to prevent the moon shining on someone sleep. Thus the origin of the word and a bit of history on the thatched roofs. 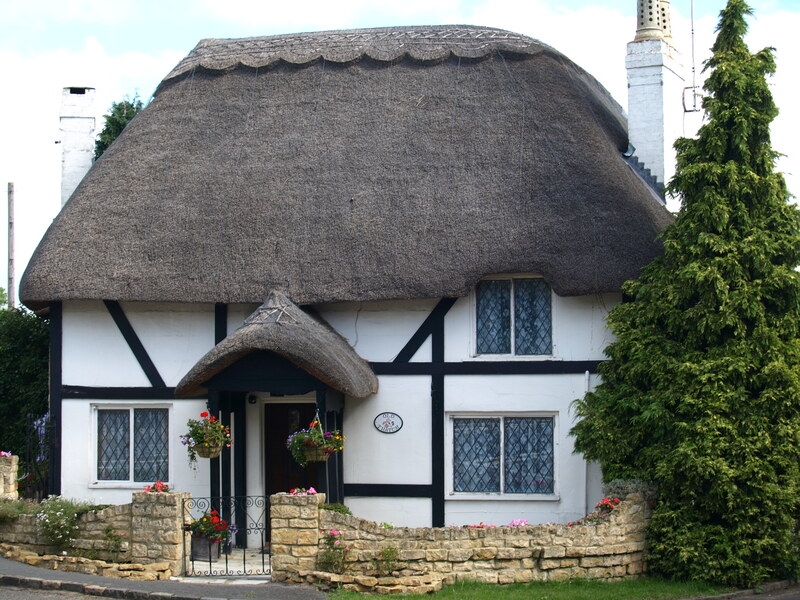 Below is a photo of a thatched roof. Come visit again, thank you for reading this. wow! Intersting……..Thanks for sharing this info! Please don’t write articles of something you don’t truly know of and found the answer online in a few minutes. The word lunatic isn’t what you think it is. It was mistranslated. It’s actually supposed to be translated from the meaning of the word epilepsy. Thanks to Shakespeare , who wasn’t a real person but in fact a man named Sir Francis Bacon, that was a former Freemason, portrayed himself as a “Shakespeare”. It was not real. It was all done for corruption of our understanding of the world and to corrupt the English language. You can see why this meaning would make such a vast difference, because people would approach epileptic persons as lunatic today, if they knew the real meaning. Lunatics or epilepsy is in fact caused by demonic beings “seizing” the person’s body – hence seizure. Today we treat these people, our doctors I should say treat these people with medication instead of proper healing. sorry@nope.com, it isn’t my intention to mislead others. I got the definition from I book I bought in England. May be the authors would like to respond to you. what are you talking about? if you’re going to tell someone they are wrong, why don’t you offer a proper explanation as to why and offer the correct answer? where you having a seizure when you decided to respond to this? Interesting! Your posts are quite thought provoking! In the lost world of internet browsing, I honestly can’t tell you how I wound up here 20 minutes in the first place but I’m intrigued. This leads to wonder if the whiskey, “moonshine”, has anything to do with this! Hope the compliment you paid me is not such induced. Being from West Virginia and home to “Moonshine”, I can tell you that the word comes about because it was made at night usually in the the back country , as it was illegal. The Lunar phase has a impact not only on the weather and the Oceans & Seas, But also on the human body has 70-80% Water. So you could imagine the impact it could have. Never thought of how our boby can be impacted this way! Think of what else our moon controls and you may find the corralation. Leaping an hopping on a moon shadow. Go the Cat! Thank you, very interesting . Per the NYT today, 12/6/12, the House voted to remove the word “lunatic” from federal law. Only one naysayer, Louie Gohmert of Texas (Republican, of course). While surfing for more info on the story I easily stumbled upon Serendipity Hopeful’s dialogue on the word — top of the first page of my Google search! late 13c., “affected with periodic insanity, dependent on the changes of the moon,” from O.Fr. lunatique, lunage “insane,” or directly from L.L. lunaticus “moon-struck,” from L. luna “moon” (see Luna). Cf. O.E. monseoc “lunatic,” lit. “moon-sick;” M.H.G. lune “humor, temper, mood, whim, fancy” (Ger. Laune), from L. luna. Cf. also N.T. Gk. seleniazomai “be epileptic,” from selene “moon.” Lunatic fringe (1913) was apparently coined by U.S. politician Theodore Roosevelt. Then, among the wise and high-minded people who in self-respecting and genuine fashion strive earnestly for peace, there are foolish fanatics always to be found in such a movement and always discrediting it — the men who form the lunatic fringe in all reform movements. [Theodore Roosevelt, autobiography, 1913]. a look forward in your next put up, I’ll try to get the cling of it! discussion. It’s a result of the sincerness displayed in the article I browsed. And after this post �Lunatic� – where did this word come from? | Serendipity Hopeful. I was excited enough to drop a thought 😉 I actually do have a couple of questions for you if you tend not to mind. Could it be just me or does it look like some of these comments come across like written by brain dead folks? 😛 And, if you are posting at additional sites, I would like to follow you. Could you list the complete urls of your social pages like your Facebook page, twitter feed, or linkedin profile? who truly knows what they are discussing on the web. You certainly understand how to bring an issue to light and make it important.